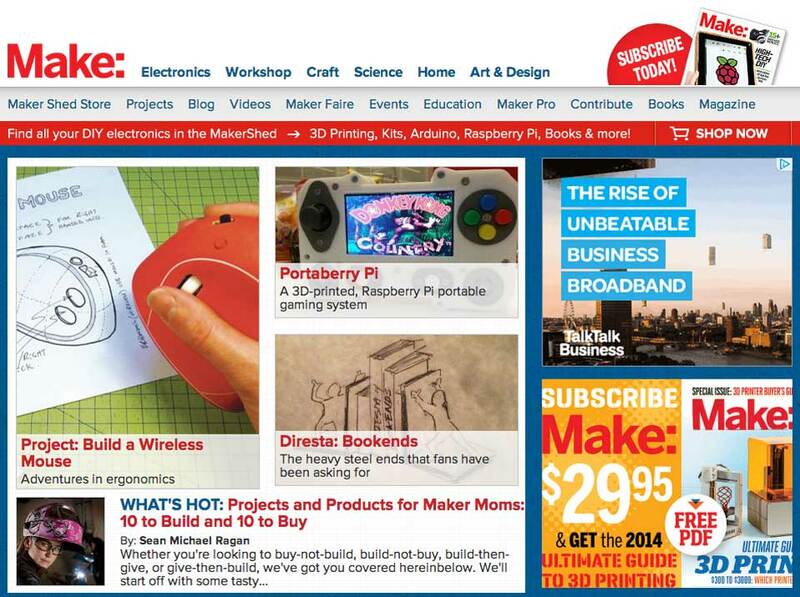 Home › News › 2 Articles Featured in Makezine! 2 Articles Featured in Makezine! 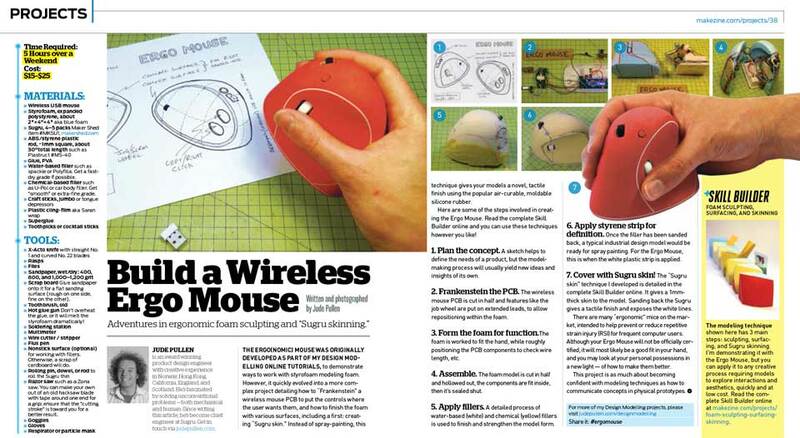 Although some return visitors to this site may be familiar with the Ergo Mouse Project, this was not only on the front cover of Make: online, but also in the printed version of the Magazine, Issue 38 (March 2014). 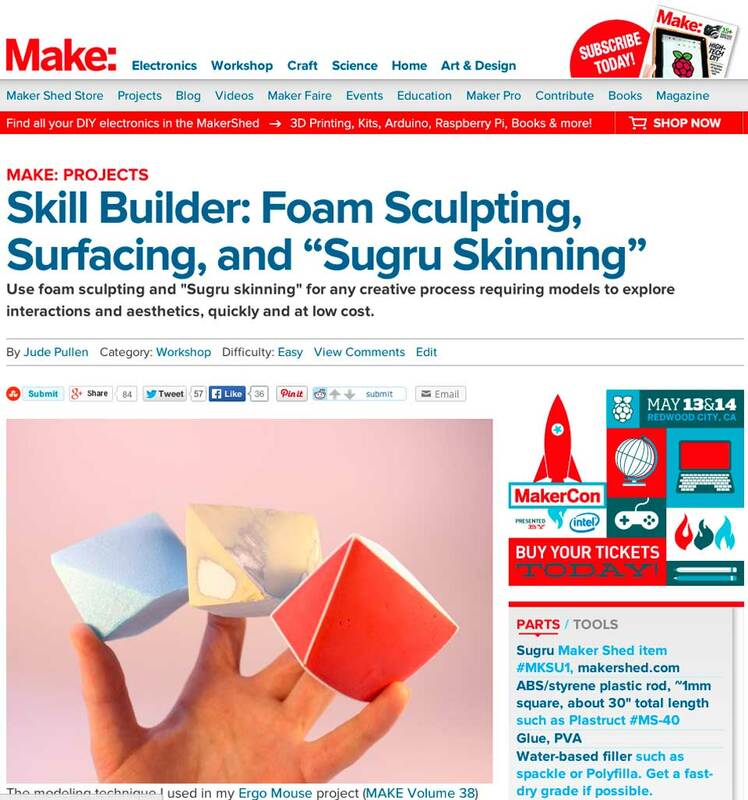 However, in addition to this – I also was commissioned by Make to write a special article for their Skill Builder series, which goes into considerably more detail on the process of Foam Modelling and of course, my small claim to [hopefully] coining the phrase “Sugru Skinning”.